Its best to take precautions when out on the open water. 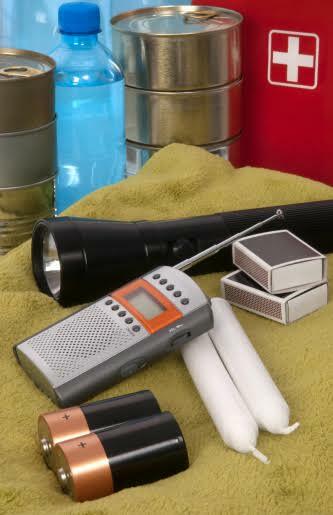 Don’t forget to bring your offshore survival kit on your next fishing trip. Being out on the open water can be a dangerous thing when you aren’t prepared. We’ve talked about preparing for your trips and tournaments, but what can you do when disaster truly strikes? You’ll need a diverse survival kit to ensure that you can make it back to shore in one piece. Today we’re going to be talking about what you need to put in that survival kit to make sure that you can stay safe during your next offshore fishing trip. Ready to dive in? Let’s take a look. One of the most important things that you should always have on your boat is a satellite cell phone. This is a special type of phone that uses a satellite to ping your calls off of. It is commonly used by fishermen and the military to keep lines of communication open even when you’re very far from a cell phone tower. These phones are an absolute essential in the event of a serious emergency where someone needs to contact the shore, the boat is too damaged to get back to shore, or there is a life threatening injury on board. First aid is a necessary. Your survival kit should definitely hold some first aid items within it. This should include treatments for cuts, scrapes, stab wounds, and even for burns. You don’t want to have an open wound that is untreatable on the open water. Make sure to bring some extras. Waterproof matches, a simple sewing kit, and water purification tablets can all make a huge difference in an emergency when you’re miles away from the nearest help. These items can work together to keep your crew safe, secure, and well hydrated throughout your trip until you can reconnect with family members. Offshore fishing is a lot of fun, but don’t forget that the open water can be a dangerous place. Make sure you have a survival kit in case of emergency.